Don’t let the affordable price fool you. 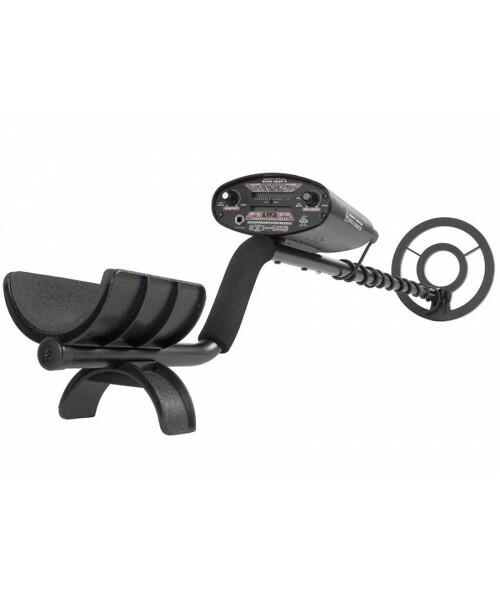 The Bounty Hunter Quick Draw II metal detector parks in powerful features, like an advanced Zilog Z-86 computer circuit, for superior discrimination and control. 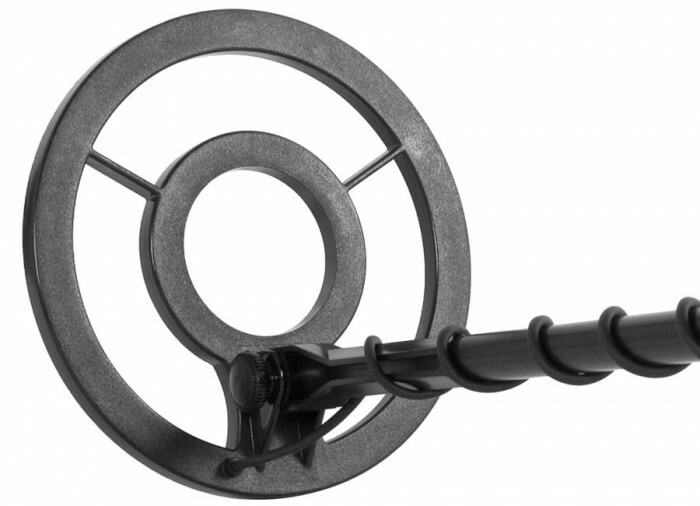 Aided by its big, waterproof Bounty D-Tech search coil, Quick Draw II can find coins up to 10" deep, larger object up to 5 feet deep. 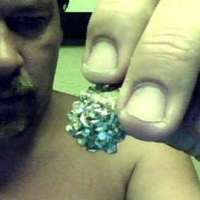 It can even detect a 1/4" gold nugget buried under 4" of earth! Quick Draw II features three levels of iron discrimination, enabling the user to tune out small nails and other trash, while still detecting larger relics and collectibles. 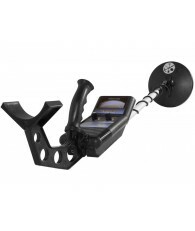 The unit provides both target ID and depth readout; sensitivity control; full discrimination; auto and variable notch, and a low battery indicator. 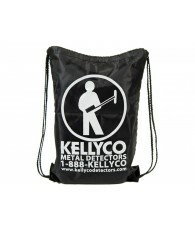 from Kellyco Metal Detector Superstore! Don't let the affordable price fool you. 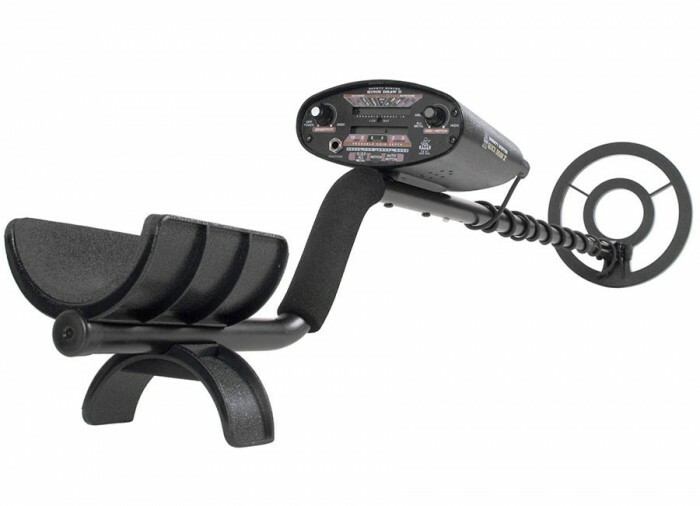 The Bounty Hunter Quick Draw II metal detector parks in powerful features, like an advanced Zilog Z-86 computer circuit, for superior discrimination and control. 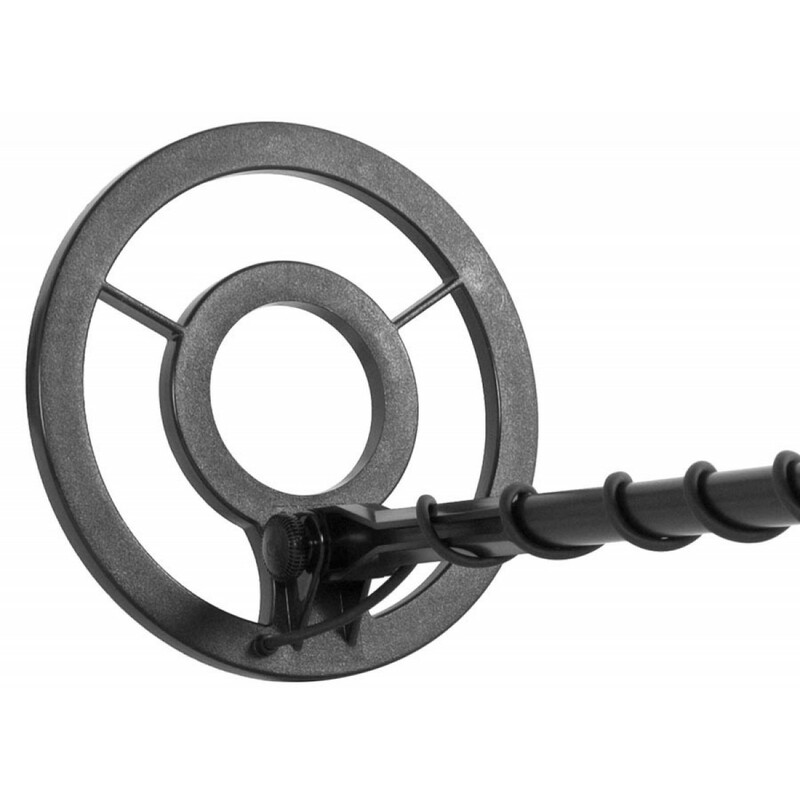 Aided by its big, waterproof Bounty D-Tech search coil, Quick Draw II can find coins up to 10" deep, larger object up to 5' deep. 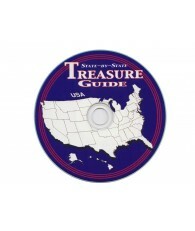 It can even detect a quarter-inch gold nugget buried under four inches of earth! Quick Draw II features three levels of iron discrimination, enabling the user to tune out small nails and other trash, while still detecting larger relics and collectibles. 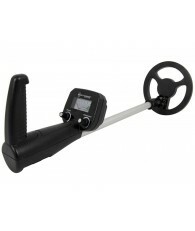 The unit provides both target ID and depth readout; sensitivity control; full discrimination; auto and variable notch, and a low battery indicator. 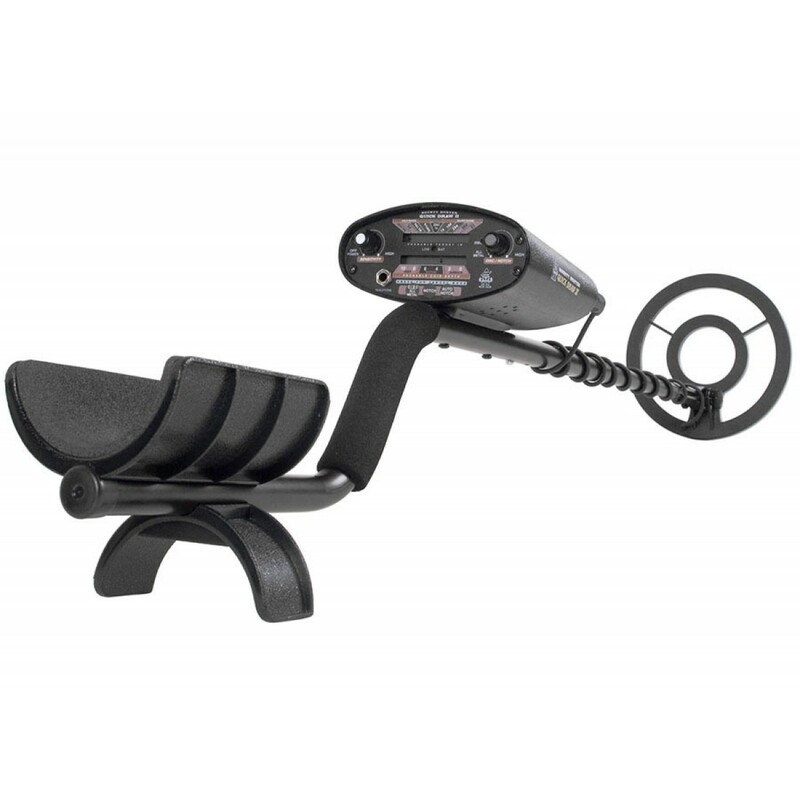 It comes complete with built-in speaker and headphone jack, and is backed by Bounty Hunter's exclusive five-year limited warranty. 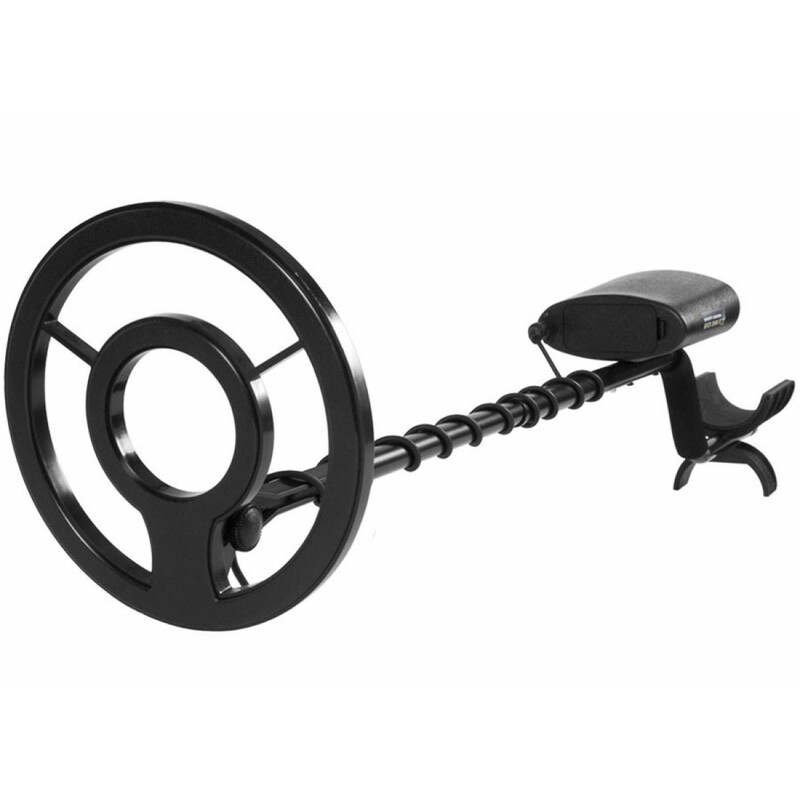 Lowest price detector with target ID & depth readout! 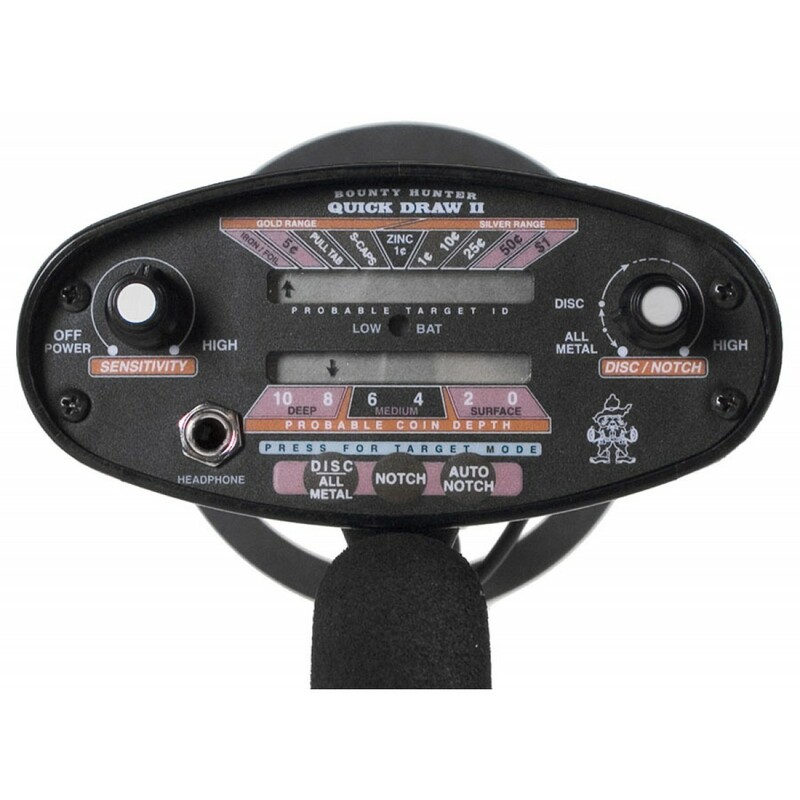 Also has auto notch & variable notch discrimination, sensitivity control, auto ground balance, 3-tone target ID, and low battery indicator. 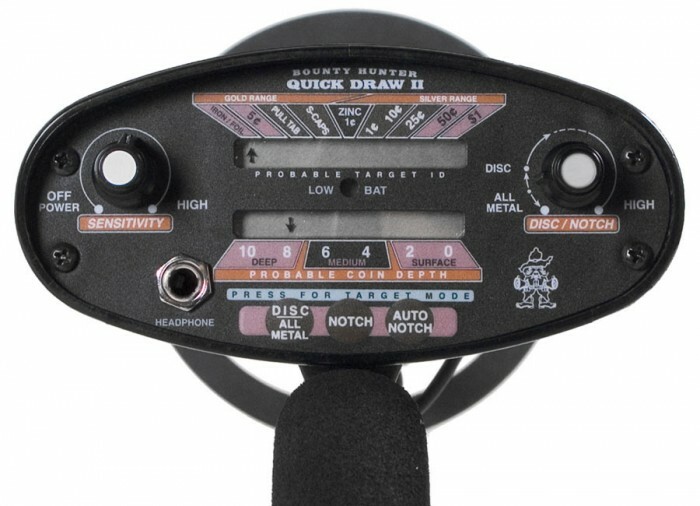 The Quick Draw II is equipped with a powerful Zilog Z-86 Computer Circuit, which combines with Bounty Hunter's Patented Technology to offer more features, performance and value than any other detector in its price range. 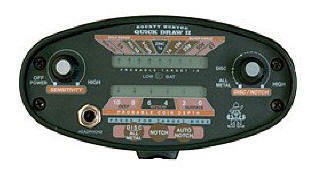 My first detector Quick Draw II, I bought second hand over 20 years ago. Not much in depth, maybe 6 inches but great signals in recognizing clad coins. I have used this machine while stationed in Japan, while in the Navy. The 500 yen pieces were easy targets, back then 500 yen was about equivalent to $4, eventually saved enough money to buy an Excalibur 1000, which was then $1000 at Kellyco! I still have and use both machines. My Minelab is over 17 years old and is going into retirement mode like myself but the Quick Draw II is still on the top of its game. I have found clad, silver and gold with this machine and I am happy that I have purchased it long ago for only $60. Thank you, Bounty Hunter! 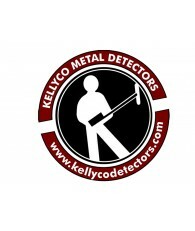 First of all, Kellyco is a great company to deal with and they should not sell detectors like Bounty Hunters! First Texas is about as bad as it gets to deal with when you have a problem with your detector. I am a White's user and always will be, you can't beat the customer service and professionalism of White's, but I was tempted with the price and features of this BH. This thing is unstable and beeps at dirt! Tried to resolve the issue with BH and they told me this detector has issues with disc mode and to run it in notch. I won't sell this thing used because it really isn't even worth the shipping cost to someone. Maybe I can salvage the parts and make a stand or something. 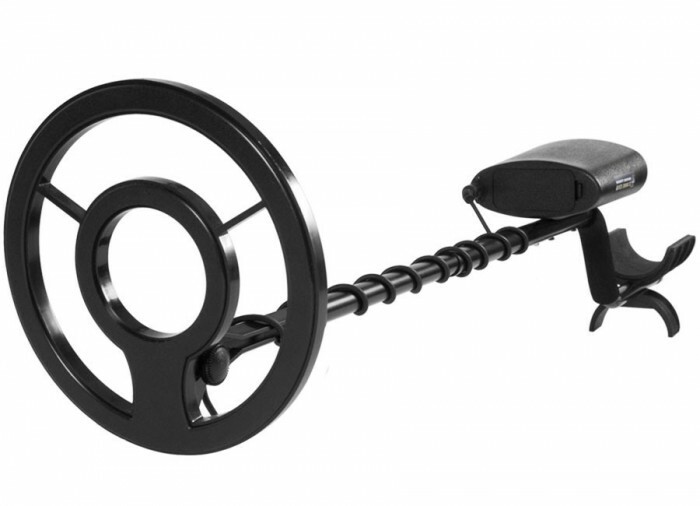 This is a good entry level detector. I have a much older one than this Quick Draw II. The one I have and still use on occasion, came out before this one, it had no pin pointing, no depth finder, but had three tones, I learned on that detector, bought it some time in the 1980's. It is a turn on and go detector, at the time I was just hunting coins, then I just went on weekends and after work. I knew my area as I am a 3rd generation to it. I never found Indian heads pennies or v nickels but found a lot of buffalo, wheaties, merc silver quarters, a few half dollars, one standing lib. and some of the new dollar coins. I learned to find my depth by lifting the coil off the ground and swinging it pin pointed by crossing the coil. I am going to buy another one for my wife. It will be easy for her to use. I have three other detectors including two White's and an older Garrett. I detect everyday as I am retired and I live in a gold area. My White's both have that capability. I have a lot of good memories of my Bounty Hunter Quick Draw. It has been a lot of fun. For that reason I give it a good review, for the money you can't go wrong. I just bought me and my dad a Bounty Hunter Quick Draw II about a week ago. We took them out to try to tune them and we ended up picking up what appeared to be coins on the display, but 9 times outta 10 we would dig up pull tabs or aluminum. Mind you we tuned them with coins, a gold ring and a silver quarter before we left the house and notched out iron, aluminum and pull tabs. But for some reason I even scanned across an aluminum can that was buried and it was showing continuously each time I scanned over it. It was a quarter so I tried notching it out and did nothing, auto notch did nothing, nor discriminate. It was still saying the aluminum can was a quarter. Plus another downfall is if you wanted to try finding gold you would have to dig up every piece of trash because gold shows up under the foil / iron, pull tabs, caps or zinc. So have fun trying to find gold near buried trash. As for Kellyco's accessories there's no way they're worth that much. What I had included in the Bounty Hunter Quick Draw II that said it was a $95.20 value free, but the most I could see was maybe a $25.00 value. Headphones are about as cheap as they get. Well that about narrows it down, hopefully this review is helpful. 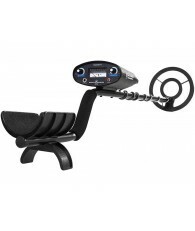 I'm gonna be getting a hold of Kellyco to see about a refund, I already have a cheap $75.00 metal detector that can find trash, why spend over $200.00 on one. I bought this detector 5 years ago and used it mainly on summer beach vacations once a year. Recently, I have been taking it out locally in parks and school yards and have had much success. While I still haven't found any gold jewelry, I find lots of clad coins every time I go out. This spring I had my best find yet - an 1862 Civil War token! I find this machine easy to use and with more practice you get familiar with the tones. I usually have a pretty good idea of what target I'm on by the tone alone. The battery life is very good too. I recommend this detector to anyone new to the hobby for the price and performance. Do yourself a favor though, with the money you save on the detector get yourself a Garret Pro-Pointer pin-pointer it will save you tons of time digging.